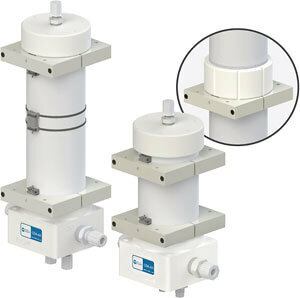 CBA Series debubblers redirect flow upward and slows the fluid so that air bubbles rise within the chamber. 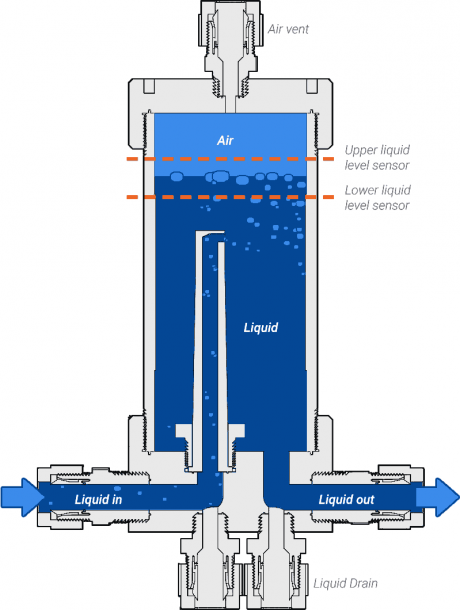 As air collects at the top, the liquid level drops until the lower sensor detects a low liquid level and signals a valve to open to releases air via the drain vent. As air vents, the liquid level rises until the upper sensor detects a high liquid level and signals the valve to close.